The big business of cheesesteaks in Philly! Geno’s Steaks President Geno Vento and Pat’s King of Steaks owner Frank Olivieri, Jr. on the business of cheesesteaks in Philadelphia. Welcome back. 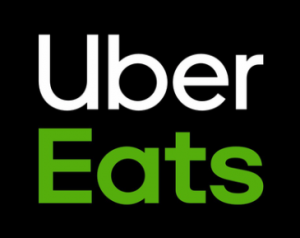 There is one food famously associated with the City of Brotherly Love, and it is the Philly cheesesteak, and it has been around since 1930. I’m going to bring in two of the iconic names in the cheesesteak business. Pat Oliveri, owner of Pat’s King of Steaks, and Geno Vento, president of Geno’s Steaks. Good to see you guys. Thank you so much for joining us. GENO: Well thank you for having us. FRANK: Thank you. We should point out that you guys are massive rivals. You’re right across the street from each other, and yet, you’re friends. GENO: We aren’t rivals. We are friends. FRANK: We live in the same building actually. So I mean, how big is this business of cheesesteaks? GENO: Booming. FRANK: It’s insane. Cheesesteaks are like a Philadelphia comfort food. Everybody wants it. Right. So what, it’s iconic, right? And do you expect a big boost in business with the DNC in town this week? GENO: Oh. Definitely. I mean just the amount of people coming in and with this being a big tourist destination. It’s the thing to do when you come to Philly. You get a cheesesteak. So you got the two right here. FRANK: Yeah. I usually say people who come to Philly get a cheesesteak from one of our places and then look at the Liberty Bell and find the Rocky statue. That’s what they do! Why is cheesesteak so iconic and so great about Philly. Why? FRANK: It’s just one of those things. My great uncle Pat and my grandfather invented the sandwich back in 1930. And it’s just an iconic sandwich, and then Geno’s father started in 66, and we’ve been fierce rivals ever since, but we’re best friends. What’s the sales pitch to go to Geno’s or to go to Pat’s. Which one should I do? Can you believe I’ve never had a cheesesteak from Philly? FRANK: How’d they let you into the city without having one? GENO: It’s sacrilegious. So what’s the secret sauce to the Philly cheesesteak? GENO: The official cheesesteak of Philadelphia is the cheese wiz, and then you have the option to get onions or no onions. You like onions? FRANK: I think the secret to it is we both take pride in our product. I mean if I won’t eat it, I won’t sell it, and I know Geno feels the same way. You guys are both running small businesses that have become bigger businesses, obviously. Tell me how business is right now. GENO: It’s unbelievable. I mean, we’re doing record numbers and tourism and it being summertime, and what Philly has to offer. I can’t speak for Frankie, but we’re doing very well. FRANK: We’re doing very well. As a matter of fact, Elizabeth Warren was down here yesterday, and I always say the winning presidents always come to our stores. I know. Exactly. It’s this must stop for celebrities, politicians – why is that? Because they want to have the iconic Philly cheesesteak? FRANK: I think they want to win that small vote. They want the nitty gritty of Philadelphia, and cheesesteaks are the nitty gritty of Philadelphia. GENO: And they want to be in the heart of South Philly. That’s where all the action happens. Have you seen a change in business over the last day or so? Tell me what you’ve seen so far from the DNC and its impact. GENO: I mean, just the lines forming. People coming in and taking picture, getting acclimated. We see the passes and the Secret Service and all the delegates. They have to eat, too – ya know? So have you made different plans or arrangements to accommodate all these new people coming in? FRANK: We ordered extra bread, and I’m sure he did, too. But we’re kind of running a crazy promotion where we are making a Hillary Clinton and a Bernie Sanders sandwich, and we are going to see at the end of the week who’s ordered more sandwiches. It kind of like a little thing. I like that. What’s the difference between a Bernie sandwich and a Hillary sandwich? FRANK: Well the Hillary sandwich, we call that the heart attack. It’s made with three cheeses on it: American, provolone and wiz. And the Bernie Sanders sandwich is called the gavon, and it has mushrooms, peppers, onions, cheese wiz, and you put it all on. Are you doing anything like that? 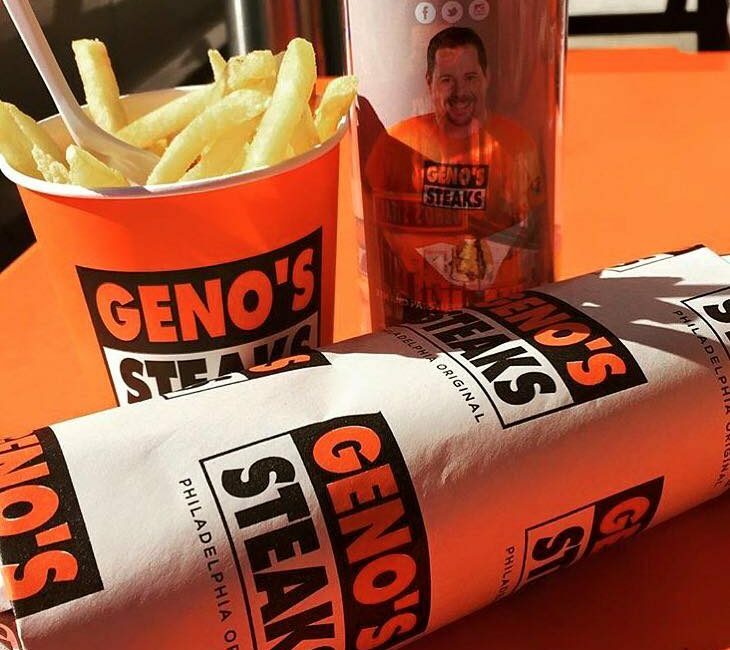 GENO: Nah, we’re just doing the regular cheesesteak. I was afraid to do that. Because that’s been resonating already. Alright, so how much is a cheesesteak? GENO: $10. FRANK: Same price. It’s priced with how much we’d spend to go out to dinner together. Is that legal? I’m not sure if that’s legal or not. OK. And there’s got to be a lot of companies that are sort of like wannabes, right? Everybody wants to have the Geno’s or the Frank cheesesteak. FRANK: There’s actually one other guy who lives in our building, Tony Luke. And he’s the other one. We’re sort of like the three amigos. We all live in the same building. GENO: Well, I was first. Tony was second. And then me and Tony talked Frank into moving in. What else can I buy at the cheesesteak shop? Just a cheesesteak? FRANK: Well, we started with hot dogs, and they had roast pork. Do you still have roast pork? GENO: Yeah. We have roast pork. We have Italian hoagies, and we’re bringing meatball parm back. Awesome. Well I’m going to have to take a bite of one of these. Frank Oliveri, Geno Vento, really good to see you both. Congratulations, and good luck on a big week.